Mixed effect models are useful tools in statistics because they can capture both fixed effects and random effects. Jared Knowles, a PhD student at University of Wisconsin Madison, created a tutorial with real world examples that explains how to run mixed models in R.
Revolution Analytics compiles a list of industry news on R and statistics, including coverage on Domino, a San Francisco startup on collaborative Data Science, an R visualization tutorial, and some news on Quandl. Andrew Gelman discusses the concept of randomization and how it is misused in an interesting blogpost titled Three unblinded mice. 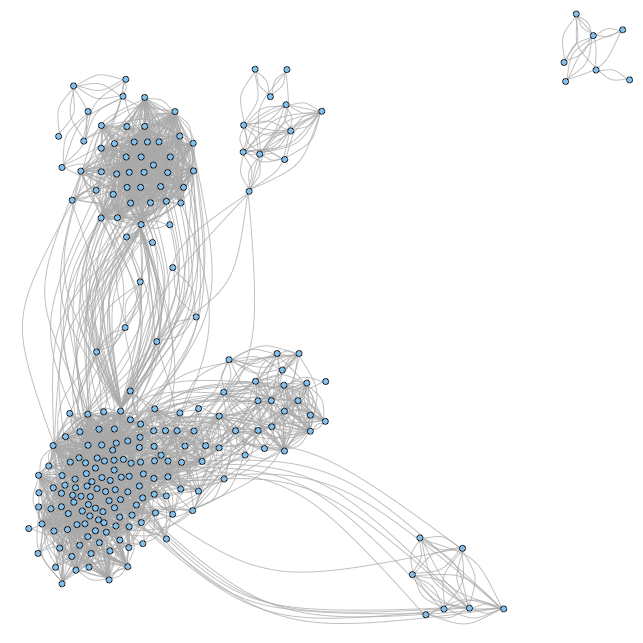 How to analyze your Facebook friends network with R? A new package called Rfacebook can help you. And lastly, Derek Jones explains why he believes OLS is dead and software engineers like himself should use other tools. This entry was posted on Monday, December 2nd, 2013 at 10:00 am	and is filed under News, stats. You can follow any comments to this entry through the RSS 2.0 feed. You can leave a comment, or trackback from your own site.